Cyprus has a Mediterranean climate with sunshine likely on most days of the year. Spring (March to May) sees average high hovering between 19-24°C (66-75°F) and rainfall levels drop dramatically as the season progresses. The period between April to May tends to be quieter and is ideal for exploring the island and enjoying pursuits such as cycling and hiking. Summer (June to August) is dry with plenty of sunshine and average highs reaching 30°C (86°F). This is the best time to visit Cyprus for those who like the heat, although the intense sun can make sightseeing a challenge. The heat is tempered by sea breezes in coastal areas. Drinking lots of water is essential to avoiding dehydration. Autumn (September to November) starts off warm and dry, but by November, average high drops to 22°C (72°F) and rain-bearing winds start to hit the country. Winter (December to February) is mild with often heavy, although sporadic, tropical-style rainstorms. Villages located on higher ground are sometimes subjected to freezing temperatures and frost, while heavy snowfall is experienced in the interior Troodos Mountains and usually stays for several weeks, providing decent ski conditions. Pack lightweight, cotton clothing for the summer months, such as loose tops, shorts and linen trousers, along with a hat to protect against the sun. Warmer medium-weight clothing is ideal for spring, autumn and sunny winter days, together with cardigans or jackets for evenings, which can get very cold. Rainwear should be packed for winter visits. 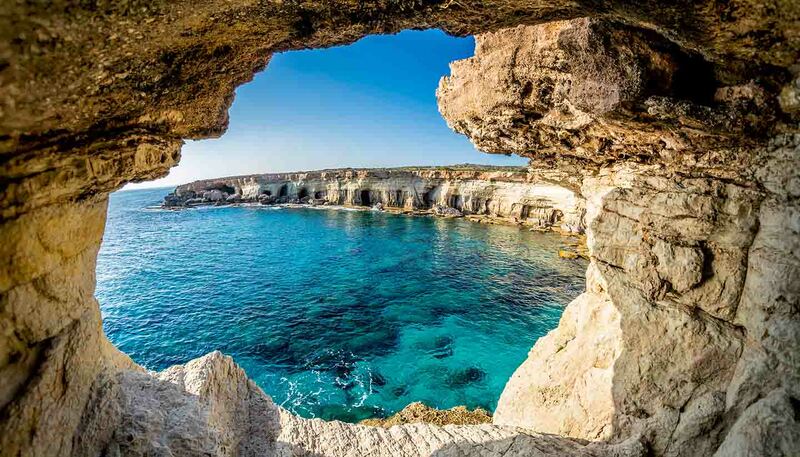 Cyprus is the third-largest island in the Mediterranean and lies to the east at a point where European, Asian and Middle Eastern cultures merge. To the east of the island is Syria and Lebanon, while to the southeast is Israel and to the west is Greece and its Dodecanese group of islands. North of Cyprus is Turkey, South of Cyprus is Egypt. The island’s landscape varies between rugged coastlines with dramatic gorges, bays and sandy beaches, rocky hills, flat plains, river valleys and forest-covered mountains. The Troodos Mountains dominate the interior of the island. Its highest peak is Mount Olympus at 1,952m (6,400ft) above sea level. North of Nicosia and following a course towards the barren Karpasia Peninsula runs the mountain range of Pentadaktylos, meaning “five fingers” after its shape. 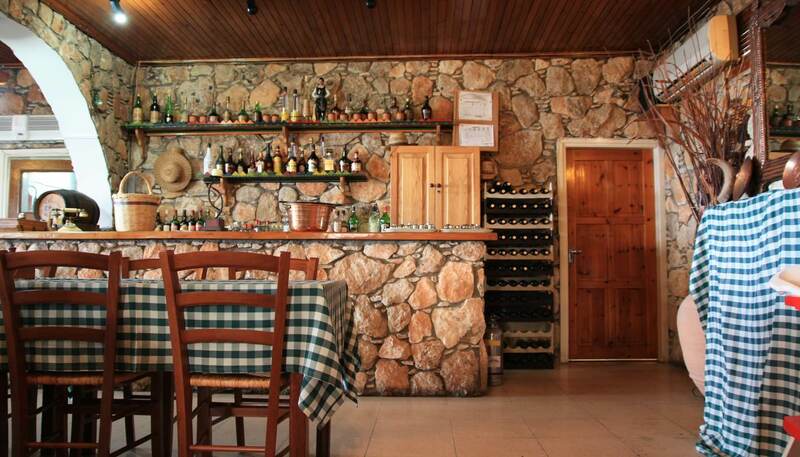 Between the two is the fertile Mesaoria plain where much of the island’s produce is grown. To the west of the island is the Akamas peninsula, a thickly wooded area that runs from Agios Georgios around the headland to Latsi near Polis. It is home to a vast variety of flora and fauna, many species of which are endemic to Cyprus. In north Cyprus the Morphou basin runs around the coast of Morphou Bay.